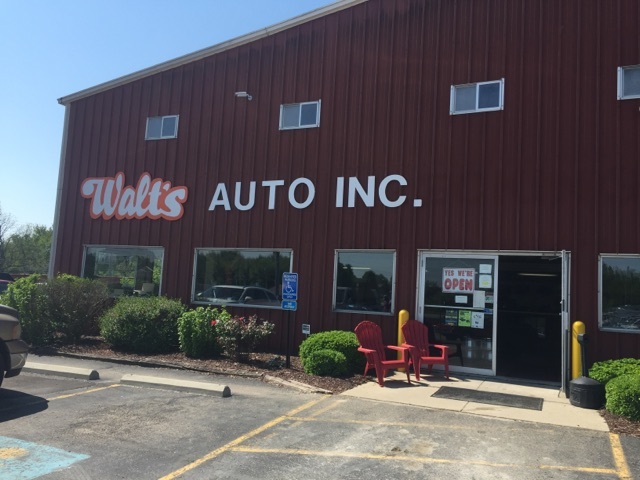 Home | Walt's Auto, Inc | Used Auto & Truck Parts | Vehicle Parts | Springfield |Walt's Auto, Inc. 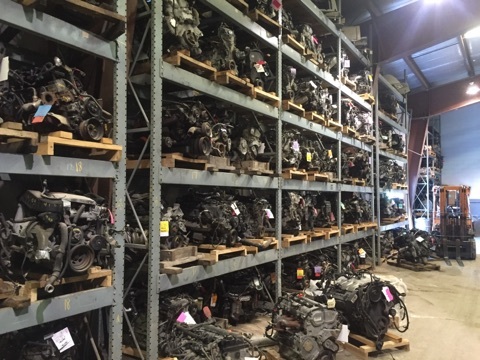 When you need used vehicle parts, Walt’s Auto Inc. is the place to turn! Our company sells locally, and ships nationwide. We routinely update our business practices and our recycling facility to ensure our clients always receive high-quality service. 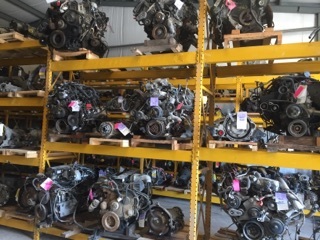 We utilize an up-to-date computerized inventory system that provides fast, reliable information, locating parts in a matter of minutes. Our facility is a total of 20,000 square feet and encompasses the office, sales, dismantling showroom, stockroom, and warehouse areas. The lot covers 28 acres of land in Springfield, Ohio. 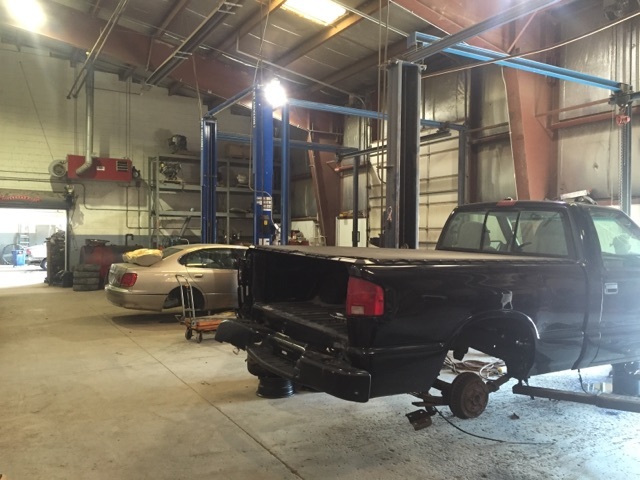 When it comes to dismantling our vehicles, we make sure to examine each part to check for operational viability. The re-usable parts are then brought to the warehouse and inserted into our inventory system. All parts are sold with a guarantee and majority are sold with a 90 day warranty. Family owned and operated, Walt’s Auto Inc. remains in the same qualified hands as it always has. 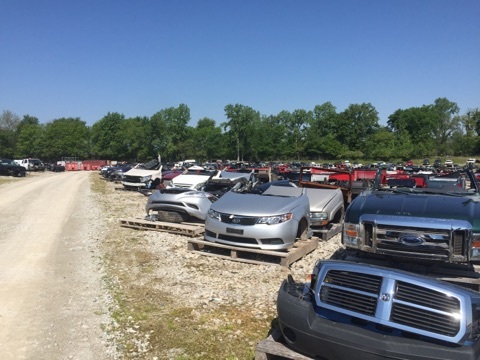 We have almost 55 years experience in the salvage industry and can provide quality used auto and truck parts no matter what make or model of your vehicle. 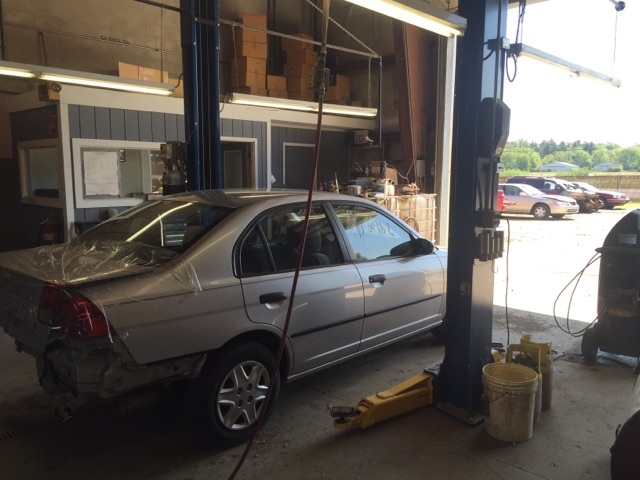 In addition, we sell re-buildable vehicles along with used cars. Our recycling efforts save you money and provide less waste in landfills, which is beneficial for the earth today. Walt's Auto Inc. provides a 90-day warranty on the majority of parts that we sell to customers. We accept major credit cards such as VISA, MasterCard and Discover. We keep making improvements to better serve our customers. Today, Walt’s Auto Inc. is a modern recycling facility. 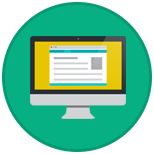 Our computerized inventory system gives fast, accurate answers and can locate parts within minutes. Our 20,000 square-foot building houses a showroom, warehouse, and dismantling area. We are also highly active within our industry, which keeps us up to date with the latest innovations and information that pertain to our business. We deliver parts customers within a 100-mile radius of our facility. 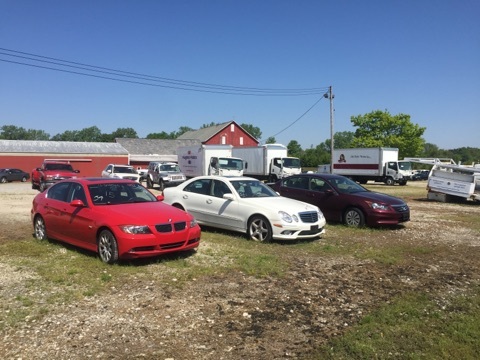 Delivery in this area includes retail customers on top of our wholesale customers such as dealerships of both used and new vehicles, body shops, and service shops. In addition, we ship throughout the U.S. by UPS or carrier lines. Come check out our facilities at 3551 Springfield-Xenia Road in Springfield, Ohio to learn for on your own what we have to offer. Have a question, but cannot travel to the shop? Just call us at either 1-800-325-7564 or 937-323-2558. We will provide whatever answers you need, or you can order the part or parts you require! Our staff members are always courteous and informative. 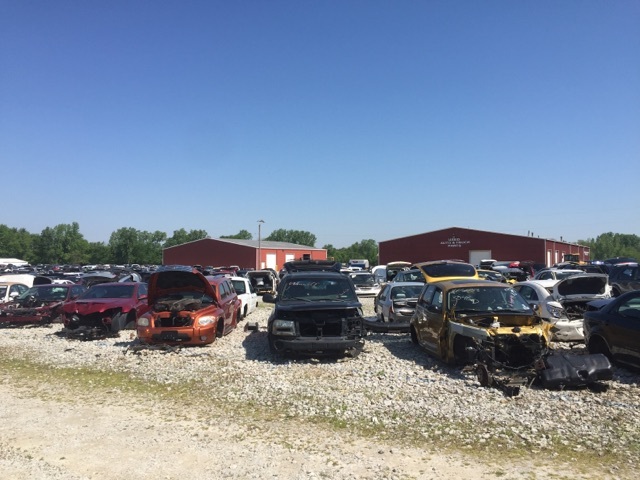 From 1936 to 1958, Walter P. Wyen was the owner of the Xenia Auto Wrecking company. 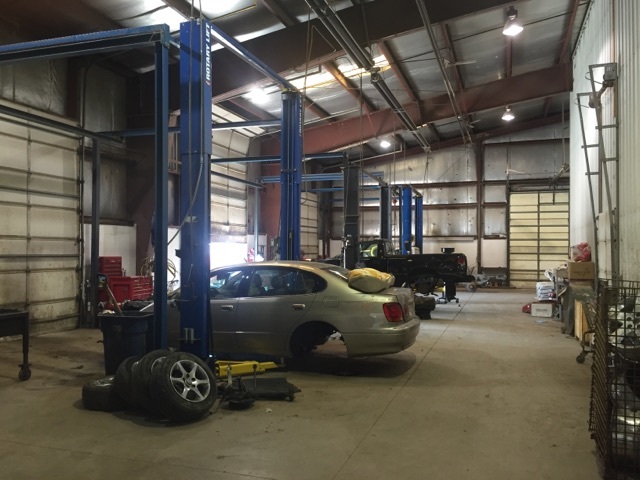 He gained valuable knowledge about the used vehicle parts industry during these years. Walter decided to close down this business in 1958. In May of 1960 after his sons graduated from school, he started Walt’s Auto Inc. after he purchased 32 acres of land in Springfield, Ohio. Walter operated the business back then with the help of torch wagons and boom trucks just as the other salvage-yard businesses did at the time. The business began to grow and by 1977, it was time to update the business. Walter did so when he bought new equipment such as a MAC crusher and a large forklift. Sadly, Walter did not live to see the full success of this company, as he died in 1979 during the summer. Family members continued on with the operations of Walt’s Auto Inc. and ensured its success. Another upgrade came through the addition of the AIMS Inventory System. We were subsequently able to keep track of our inventory in an organized manner then with tags and cards. It was not until 1985 that our present 20,000 square-foot facility was built on the land. Inside this facility, we created our office, sales, showroom, warehouse, dismantling and stockroom areas. The business grew to the point that we found the need for the Hollander Computer System to be installed in 1986. 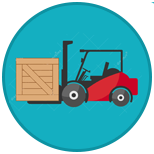 We were pleased that we tracked and organized our inventory, so effectively, with this system as soon as we added it to our facility. Walt’s Auto Inc. provides a massive selection of parts thanks to our computer locating system. If we do not have it on-site, we will seek elsewhere for the part you need. Our locating system searches throughout the country. 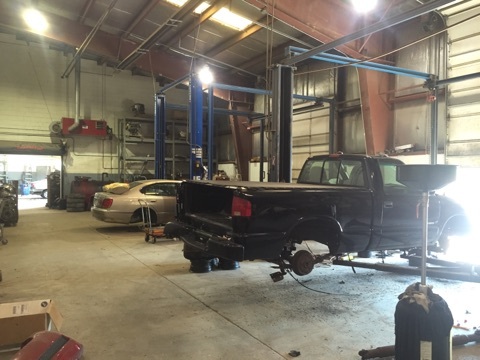 You can be confident with the parts you purchase from us, as our experts carefully dismantle the vehicles and examine the parts to ensure they are viable for your vehicle. 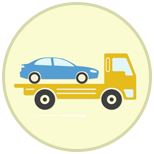 Today, you can join our long history in this industry just by purchasing the parts you need to solve your vehicle issues from our company. Whether you drive an economy, luxury or classic model, check with us first! Our staff members only need minutes to answer your part inquiry. Call us at 1-800-325-7564 or 937-323-2558 for further information. We are open 8AM to 5PM Monday through Friday. Our company promises you courteous, quick and reputable service.